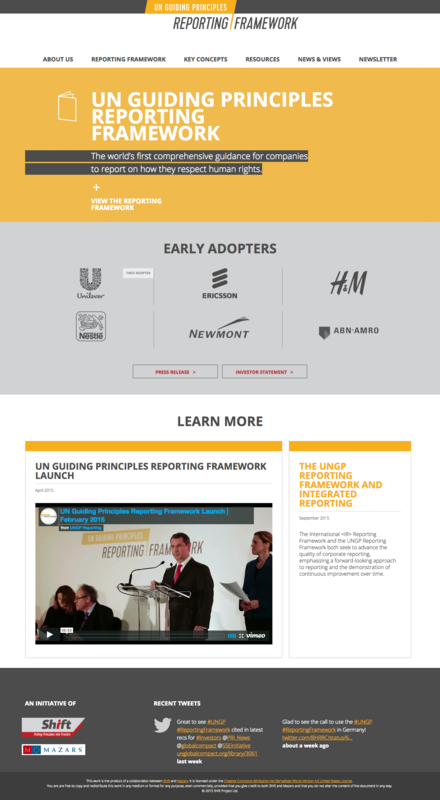 The UN Guiding Principles Reporting Framework is the first comprehensive guidance for companies to report on human rights issues in line with their responsibility to respect human rights. The website is a WordPress-based CMS with a deep hierarchy, numero large pages and many, many custom fields designed with ergonomics in mind for the editors. It also features a large import/export database with cross-filterings, and PDF/XLS generation.